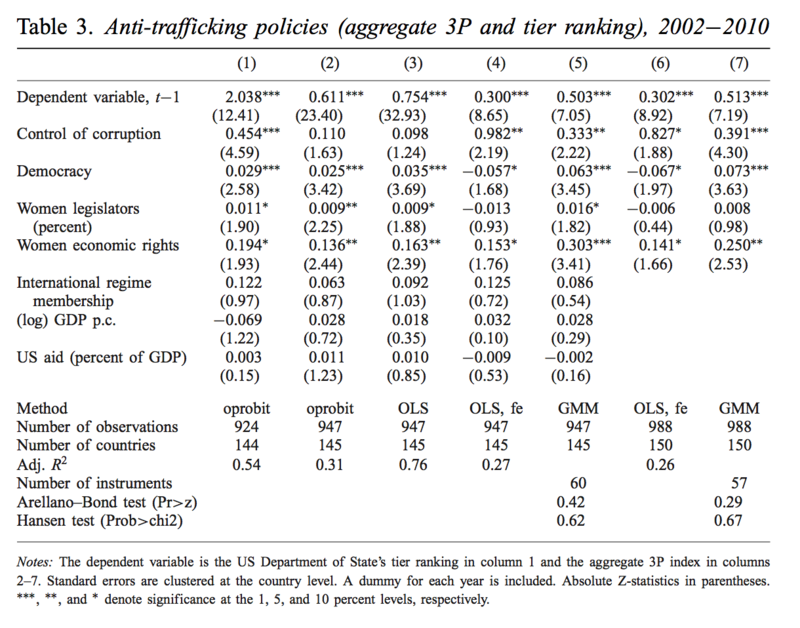 Replication of Seo-Young Cho, Axel Dreher, and Eric Neumayer. 2014. 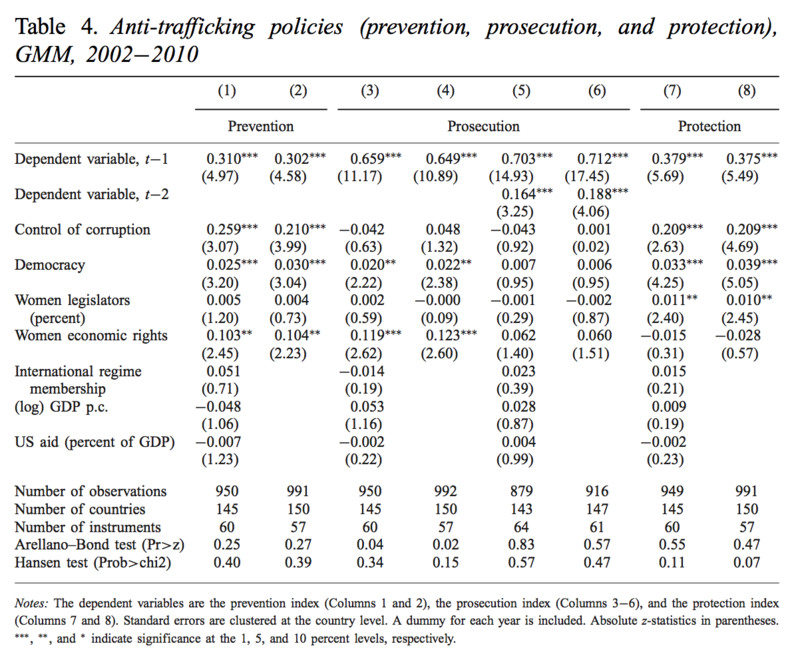 “Determinants of Anti-Trafficking Policies: Evidence from a New Index.” The Scandinavian Journal of Economics 116, no. 2 (April): 429–54. doi: 10.1111/sjoe.12055. title <- "Replicated models from Table 3 (GMM models omitted)"
title <- "Replicated models from Table 4 (OLS instead of GMM)"